Out of all products we have referenced at the Daily Dealer, none has been as popular as the Instant Pot. 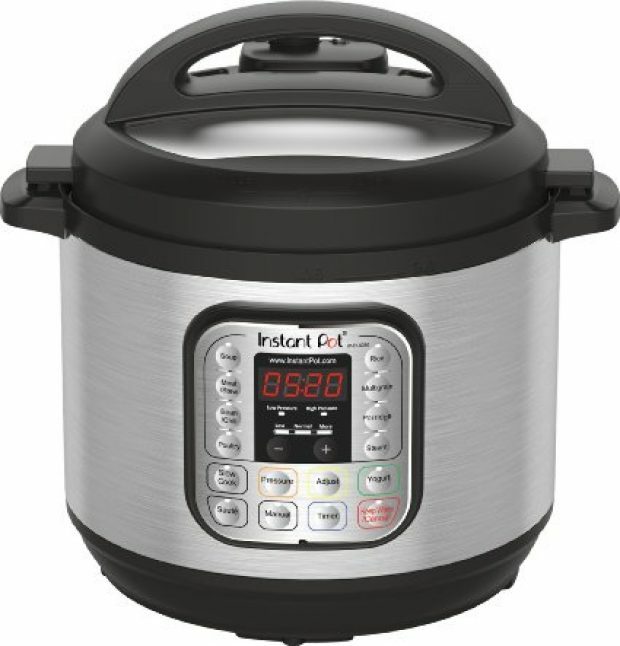 Our readers love this 7-in-1 smart appliance, which has “the functions of pressure cooker, slow cooker, rice cooker, steamer, sauté, yogurt maker & warmer.” It makes cooking faster, more efficient and, above all, just plain easier. And right now the 8-quart model is over $30 off. The Instant Pot has a 4.7-star rating on Amazon; over 12,000 of the 14,000 customers who’ve reviewed it gave it a perfect 5 out of 5 stars. Let me put it this way: your kitchen could use an Instant Pot.